So those of you that know, I'm SUPER close to earning my Masters Degree in Library Information Systems and Media Technology! Yeah, me! Below is a program that I created for my library advocacy class (LLLS 6234.40 Librarians Empowering Learners)! I created this Infographic and below is an excerpt from my paper. I hope it inspires you! Program: The librarian will initiate a campus wide literacy program that is based on parents and students creating a 3-5 minute video of their reading/performing a children’s book. This program is in support of parents reading 20 minutes a day to their children. This will be a 6 week program opened to the entire elementary campus, grades K-5th. The librarian will introduce the program in the library, modeling how parents should interact when reading and different book and video ideas, as well as obtain the necessary parental consent forms and send home literature about the program, for the first 2 weeks. The remaining four weeks will be creating “mock” parent-child reading nights to perform video award ceremony (this effort is an attempt to circumvent those parents who can’t participate). The efforts will culminate at an Open House Literacy Night/Award Ceremony in the library. Award Night: The night will begin with a PBS video explaining the importance of parents reading to their children (see video here: http://www.youtube.com/watch?v=o_RReFPSYJM ) and the visualization on the impact on the brain when parents read to their children (it will include facts from Carole Fiore Training). Additionally, portions of the video entries will run on a projector in a vine-video loop. A performance skit for RRNL good news/bad news will lead to an open-panel discussion. My hopes would be that this discussion could be used as a podcast to add to the library website. The night will conclude with the category winners of the RRNL (3 categories: (1) Kinder/1st, (2) 2nd/3rd and (3) 4th/5th). Winners will receive a trophy, certificate, a Barnes & Noble gift card and bragging rights! This will be an excellent advocacy activity that promotes literacy, parent involvement and embracing the community through the library. Community Assistance/Collaborative Efforts: Perhaps a local restaurant can provide refreshments. Or perhaps, parents of those in my “Library Club” can provide refreshments/potluck dinner. The librarian will function as the discussion moderator and host, should the principal or campus reading specialist not be available for a team effort. Additionally, the librarian can collaborate with the BCIS teacher or computer specialist on campus to demonstrate how to record video on the iPad and/or using a specific app app as part of the two week preparation. As an extra elevation of the project, why not make it like an "Academy Awards Night" (boys in suits/tuxedos, girls in feather boas and jewels)! And as a bonus, here's how story-telling affects the brain! ___ Electronic copy of video (either via email or USB) that the librarian can use freely. ___ Video: no more than 5 minutes in length that features the title of the book, parents reading directly to the child and creative interaction/discussion. Interaction/Discussion based on Carole Fiore’s “5 Rules of Practice” when reading to children: (1) Talk (2) Sing (3) Read (4) Write (5) Play. Three of these 5 rules must be visibly present in the video. ___ Written evaluation of the experience (to be collected as support for program success). 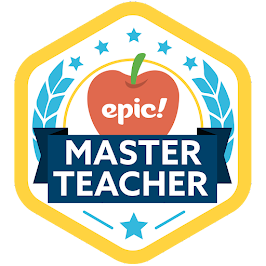 Element 1: Participate as an educational leader, an equal partner, and a change agent in the curriculum development process at both the campus and district level. Element 2: Participate in curriculum design and integrating planning of a shared campus vision that focuses on reading, teaching, and learning. Element 3: Model and promote collaborative planning, cooperative teaching, and district instruction as determined by learners’ needs and state curriculum standards. Element 4: Direct and encourage students in the ethical use of resources to locate, gather, select, synthesize, and evaluate relevant information. Element 5: Work collaboratively with faculty to provide students with opportunities to assume responsibility in planning and engaging in independent learning. Element 11: Create a learning environment in which the diversity of groups and the uniqueness of individuals are recognized and appreciated. 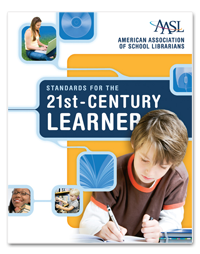 Standard II: Learner-Centered Library Program Leadership and Management Element 1: Advocate for the development of an exemplary library media program that encourages a vision of excellence for all learners. Element 2: Synthesize information from a variety of sources for effective decision making to develop and maintain an exemplary library program. Element 3: Design policies and procedures that comply with local, state, and federal laws and policies while supporting sound decisions relating to school and library instruction and programs. 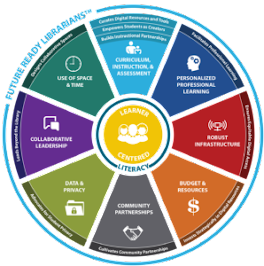 Element 4: Establish partnerships within the learning community to support district and campus goals through exemplary library programs. Standard V: Learner-Centered Connections to the Community Element 4: Establish partnerships with businesses, learning institutions, global communities, and other libraries and entities to strengthen programs and support campus goals. Element 5: Develop library programs that offer families opportunities to participate in school activities and in their children’s education. Standard VI: Learner-Centered Information Science and Librarianship Element 2: Understand the role of the school library media program as a central element in the intellectual life of the school. Element 11: Use varied reading materials, programs, and motivational strategies to guide the development of independent readers. Element 12: Engage in continual self-evaluation and self-directed learning for professional growth. iPads, projectors, library books, parents, creativity and imagination. ***Footnote: Check out this FANTASTIC initiative by the School of Library Journal's Every Child Reading Ready Program (ECRR)!